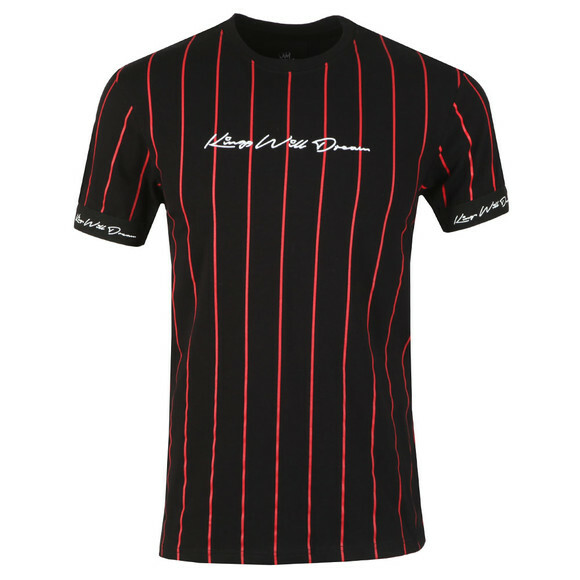 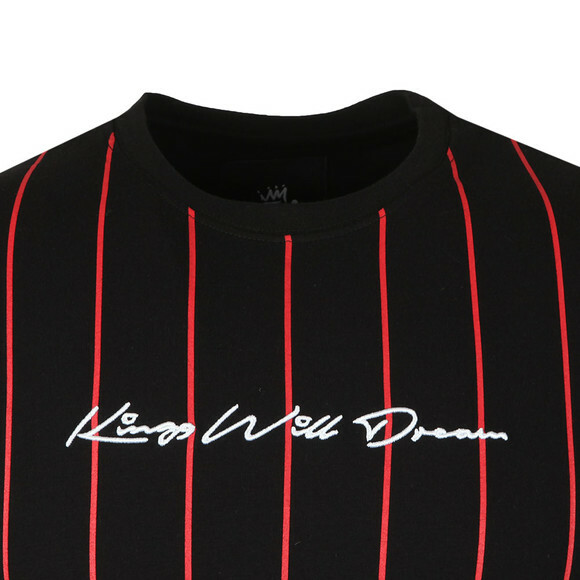 Kings Will Dream Clifton Pinstripe Tee in Black/Red. 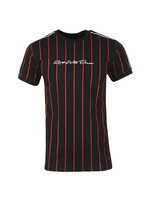 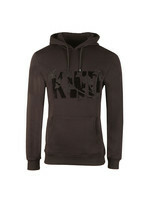 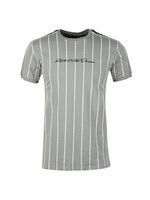 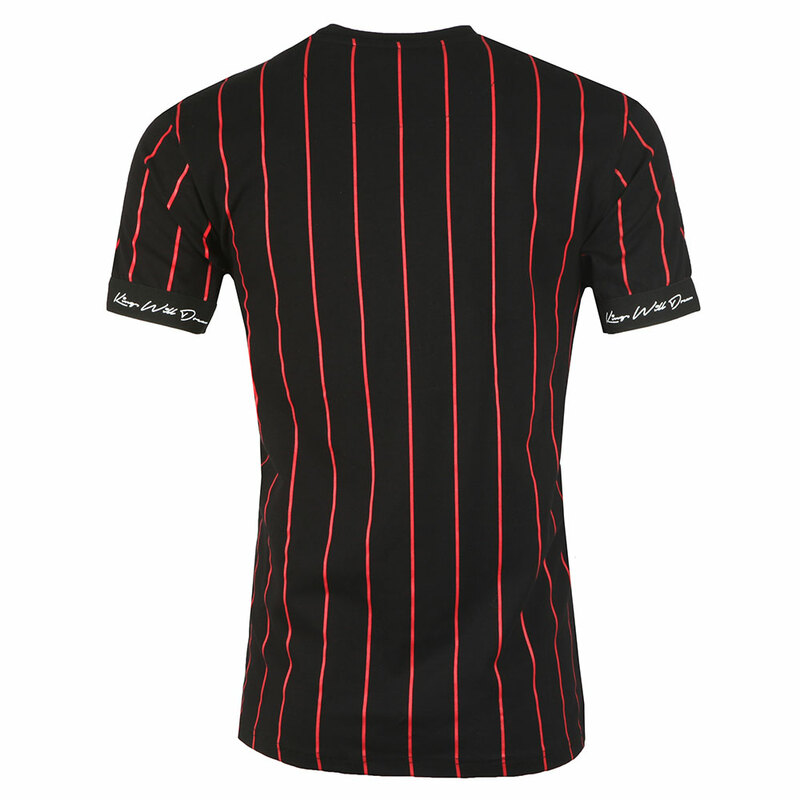 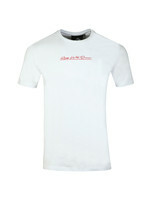 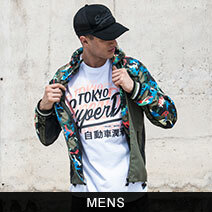 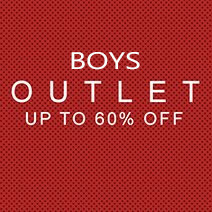 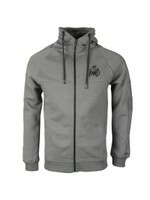 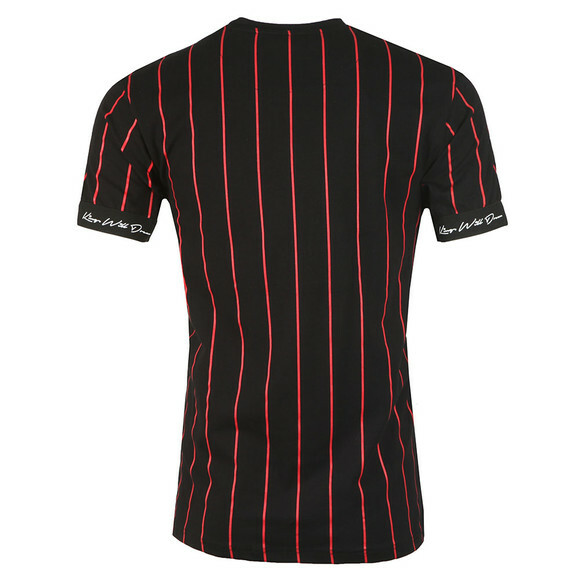 Given contrast colour verticle stripes and a large, embroidered chest logo. 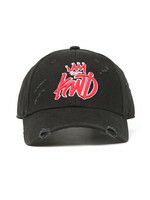 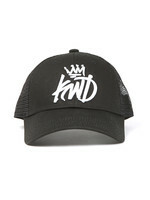 The sleeves have an elasticated cuff that carries Kings Will Dream branding.